Connect with them via a POS system that rocks! Congratulations! You’ve picked the perfect time to implement a new POS system for your business. 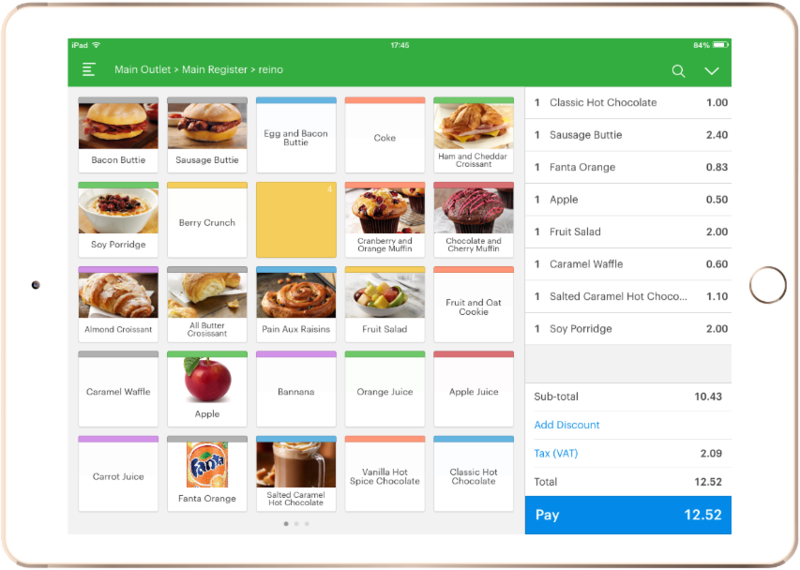 Right now, we’re in the midst of a ground-breaking paradigm shift in point-of-sale systems from clunky, pricy, PC-based systems to agile, user-friendly feature-rich systems that take full advantage of the cloud to bring the solutions your business needs straight to iPads, Android tablets and similar devices. Yes, you can now deploy the kind of full-featured all-in-one systems that were previously far beyond your price point. You have the opportunity to take advantage of the increased flexibility, vastly improved customer interactions and time-saving employee-centric features that your competition can only dream about because they’re tied to an antiquated systems. Consumers already have in their hands smartphones and other portable devices so businesses with the right technology can engage them in a whole new way - from perfectly timed discount vouchers to convenient mobile payments. The possibilities are endless! The trick has been to decipher the jargon and find a system that’s tailored to your needs, whether you run a retail, hospitality or service business. This is where we can help you. The one drawback to this exciting time in the POS market is that there’s a truly daunting number of systems out there, and it can be difficult to distinguish one from the other. Let us get to know you and guide you to the system that will best meet your needs now and in the future. If you have a retail, hospitality or service business with just one outlet, we will deploy a solution that is tailored to your business type completely free of charge. You get all this with no long-term contracts to tie you in and no other strings attached. Yes, that's right! We'll send a seasoned expert to deploy the system of your choice (we offer quite a few) and train your staff right on your premises. We will charge you absolutely nothing for this service - zero, zip, zilch. You can save hundreds or even thousands of pounds depending on the nature of your business. If you have multiple outlets, we can set-up a full trial for one site - providing all the hardware, software and training completely risk-free. Imagine get all the hardware, setup, training and ongoing support free without obligation for an agreed trial period. By the way, are you using a cash register per chance? You struggle with stock control. Stock is a valuable asset that can be very challenging to manage. A cash register is not equipped to manage all aspects of your stock to give you an accurate financial position 24/7. You miss out on repeat business. Giving customers loyalty points is a proven way to lure them back over and over again. A cash register is not clever enough to help you administer a loyalty program. You cannot easily manage promotions. Every customer loves offers and promotions. Cash registers don’t have the tools you need to properly manage this. So, you’re probably leaving money on the table. Your customers can’t ‘click and collect’. Your customers use smartphones and tablets and expect to be able to buy from you even when you’re shut for the day. A cash register gives the impression you’re stuck in the past. Your card payments are too slow. Cash registers can’t talk to card machines, so you need to enter transactions twice - on the till and then on the card machine. Valuable time is wasted and avoidable errors can easily occur. You cannot scale up your business. Understanding your customers and knowing their shopping habits is vital for growing your business. A cash register severely limits your ability to scale up your business. You cannot measure results in real-time. In this Internet age, you need to be able to manage your business from anywhere in the world and measure performance in real-time. Cash registers are not very useful in this regard. Your decision-making is slowed down. Cash registers cannot drill down into your data to obtain actionable insights. Your ability to make speedy decisions that are driven by relevant and accurate data is therefore limited. You cannot connect to other apps. The ability to integrate with other systems increases speed and accuracy. Unfortunately, cash registers are not intelligent enough to talk to other helpful business apps. You can’t operate multi-stores properly. Cash registers are a disaster for multi-store operations. It’s impossible to get an instant view of all the numbers that drive your business as events unfold across multiple locations.